Rep. Mark Takano, D-Calif., will assume leadership of the House Veterans’ Affairs Committee next month following the recent appointment of Robert Wilkie as secretary of the Department of Veterans Affairs, MilitaryTimes.com reported Tuesday. During an interview with Military Times, Takano said he aims to provide “more vigorous oversight” on the VA and foster bipartisanship as the House committee’s new chairman. His focus is on monitoring the progress of efforts such as veteran suicide prevention programs, GI Bill payouts, anti-homelessness initiatives and a new electronic system for medical records. Takano’s other goals include receiving funding for facility upgrades, increasing staff at VA hospitals and improving access to healthcare. “Solving staffing problems at VA is also going to mean solving the medical workforce development issues for the country,” he said. 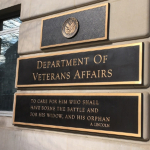 During a hearing with Wilkie held last December, Takano noted that the department is “slow-walking” efforts to fill over 41K vacant VA positions. Wilkie previously announced that a new community care system will be detailed to lawmakers in early 2019.